I think lamps can really be statement pieces, but unfortunately my budget doesn´t allow for designer ware. 2. Brush on the adhesive. Wait twenty minutes. 3. Take the package of beat copper and press one leaf to the plastic parts of the lamp. Leave it in the package at first, it won´t crumble as much. The leftovers you can pick up with your fingers and press them to parts still uncovered. Repeat until the lamp is more or less covered. 4. 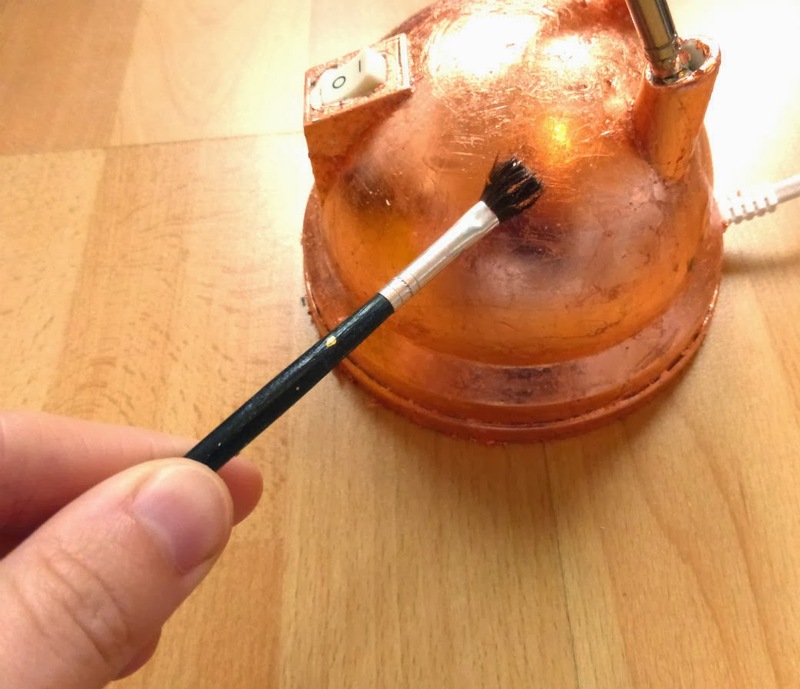 Brush off the excessive copper with a soft brush. 5. There will be some gaps left. Cover then in adhesive and repeat steps 3 & 4. If there still are some, do it a third time. 6. 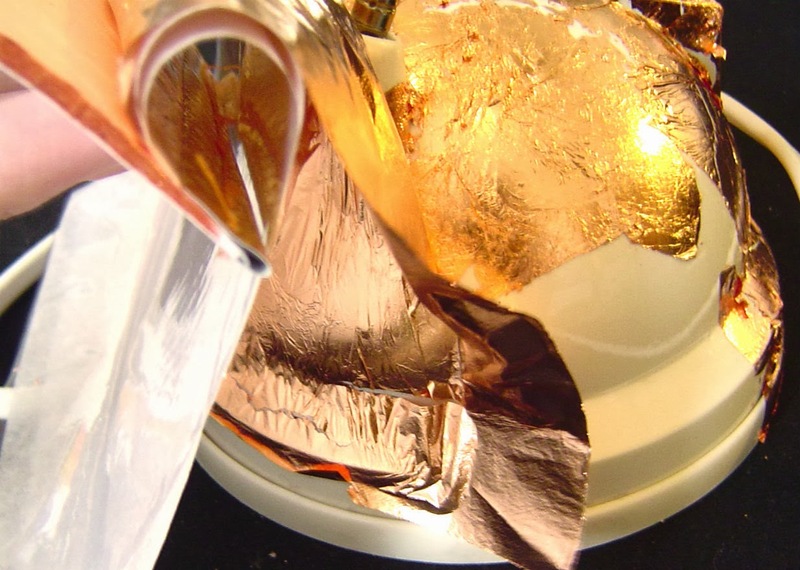 Once everything is coppered, brush on the clear lacquer to protect the copper. 7. Cut off a length of twine (as much as you think you need or can handle). 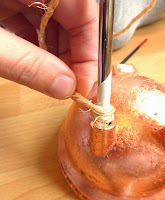 Glue it to the metal bar using the double sided tape. 8. Wrap the twine round and round, until the bar is fully covered. It´s a bit enervating to keep the rest of the twine from tangling but I promise, the result will be worth it. 9. Repeat with the other bar and the cord. 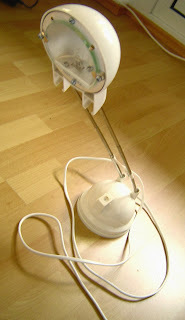 And there is your darling showpiece of a lamp! This post was first shared as a guest post at number fifty three. 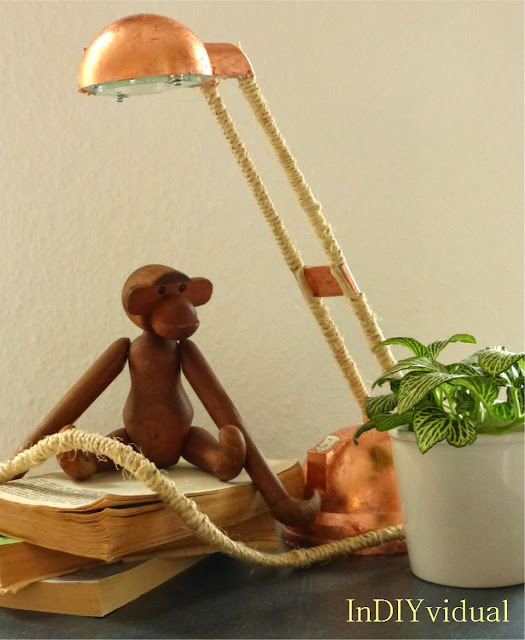 Copper! Yes! Looks so beautiful, Yana! Thank you, that´s good to hear!